Waporyzator Da Vinci jest wyjątkowo cichym waporyzatorem, wyprodukowanym zgodnie z najwyższymi standardami. Zasilany jest wewnętrznym akumulatorkiem, który pozwala na 30 minut użytkowania. Posiada możliwość regulacji i odczytu temperatury. Zapewnia druzgocącą skuteczność! This is a real favourite of the Dutch Passion team. 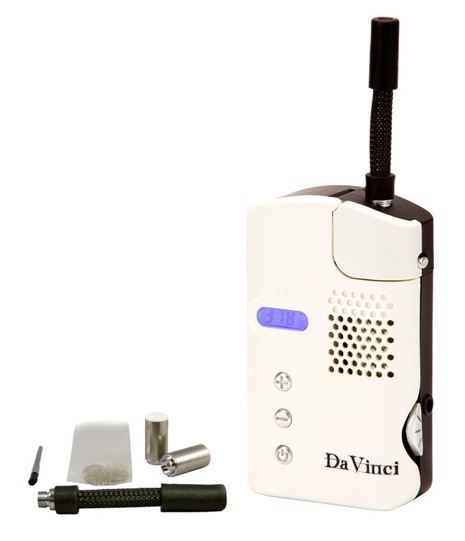 It is the best build quality we have seen in a portable vapouriser and it offers an adjustable temperature control. 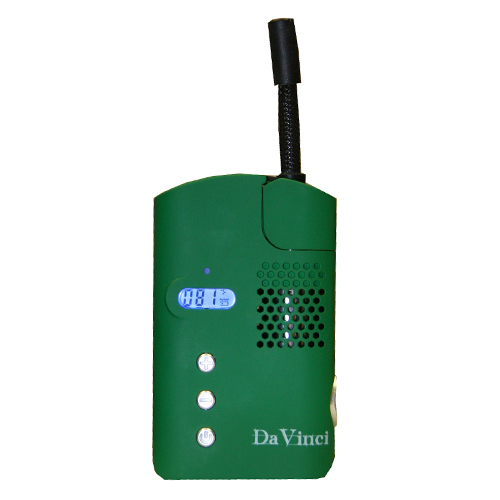 It is powered by an electrical battery which takes around 2 hours to charge and will last for about 4 vape sessions of 10-15 minutes each. It is totally silent (unlike the Wispr) and comes complete with a spare internal herb chamber, cleaning tools and even some canisters for using oil. It heats up in a minute or two. It is fast, efficient, robust and top quality. The adjustable temperature may be useful for medical users with CBD-rich cannabis varieties. With some practice it is possible to find a vape method which allows users to apply an initially lower temperature setting. This will produce vapours rich in THC, which if necessary can be ignored. Later in the vape session, and perhaps at a higher temperature vapours richer in CBD are produced. It is impossible to completely separate THC and CBD with a vapouriser, but with a little bit of practice it is possible to adapt your vape method to suit the type of result you want if you are using CBD-rich herbs. 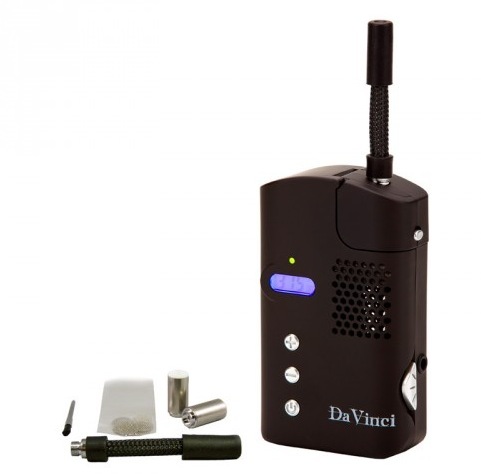 Using the Da Vinci is simple, just load the ground pot into the herb chamber and switch on. Highly recommended. Flexi-straw: The flexible straw (or mouthpiece) is constructed of high-temp food grade silicon. 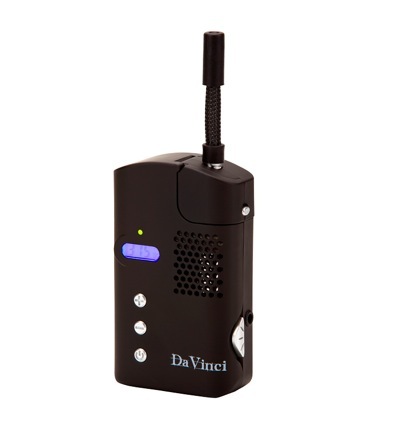 Ergonomic grip: Ergonomically designed, the DaVinci Vaporizer is made of quality tested components and is built to whether the occasional dropping or other high-impact accident. 10 minute automatic shut-off: To conserve battery life and prevent the unit from overheating. Internal storage compartment: Great for those who like to vape on the go. Oil canister compartment: For use with essential aromatherapy oils or concentrates.